Please no menu substitutions or changes in original recipe. 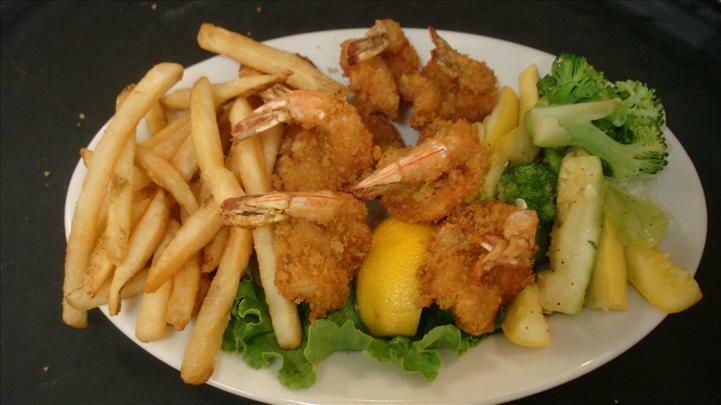 (Fried or Broiled) Fish, shrimp, scallops and a crabcake. Jumbo shrimp stuffed with crab meat, broiled and topped with a lemon-butter sauce. Broiled with fresh blue crab stuffing. Served broiled and topped with wine sauce, bread crumbs and parmesan cheese, or deep fried. Two 5-6oz cold water lobster tails steamed. Two large crabcakes, fried or broiled.